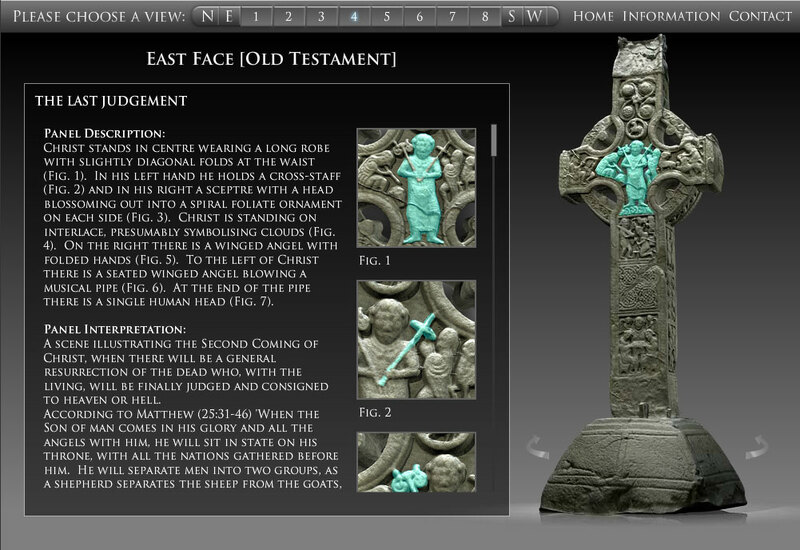 Carved Stone Project >> Three-dimensional collection of archaeological stone monuments. 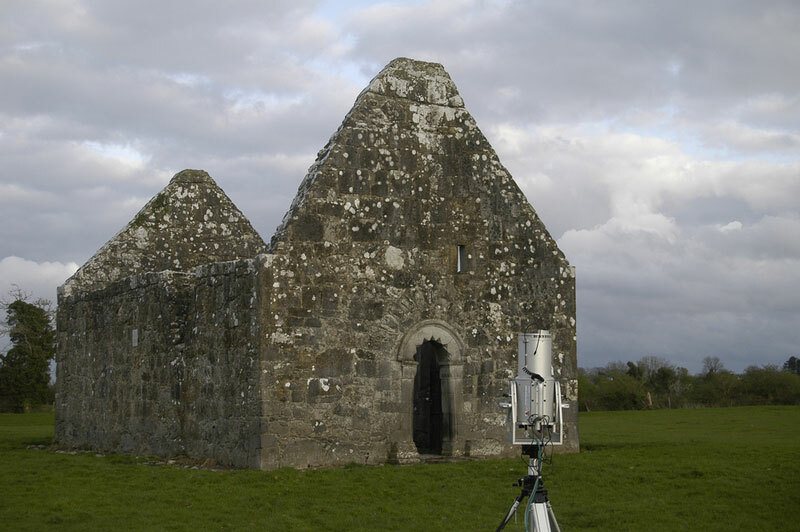 In 2008 and 2009, several extraordinary monuments in Offaly County, Ireland, were documented and visualised using 3D laser scanning and structured light scanning. The project’s ambition was to record the historically meaningful crosses and buildings, which often lie on private territory, before the decay wears them further down and make them accessible for the public on virtual platforms. 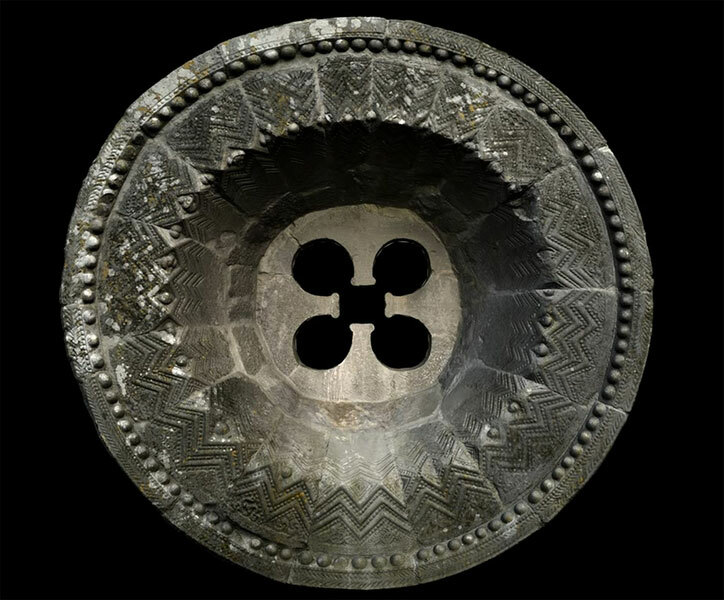 Among the most meaningful objects was the high cross of Durrow, Tihilly and Kinitty, the Ardara bridge, the Rahan round window and the glass house of Shinrone. 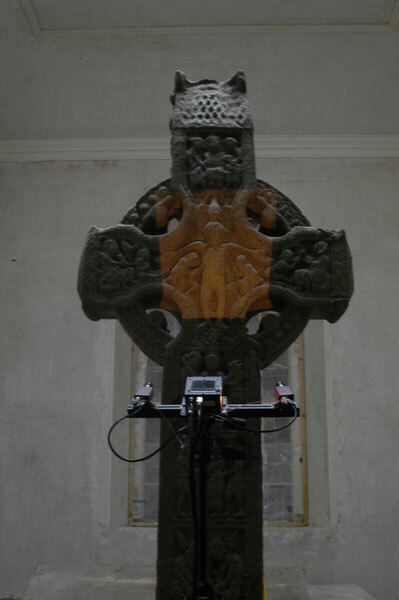 Depending on the object’s size and the level of embellishment, two different kinds of survey systems were deployed (also in combination): the 3D laser scanner Riegl LMS 420i and the structured light scanning system QT Sculptor. 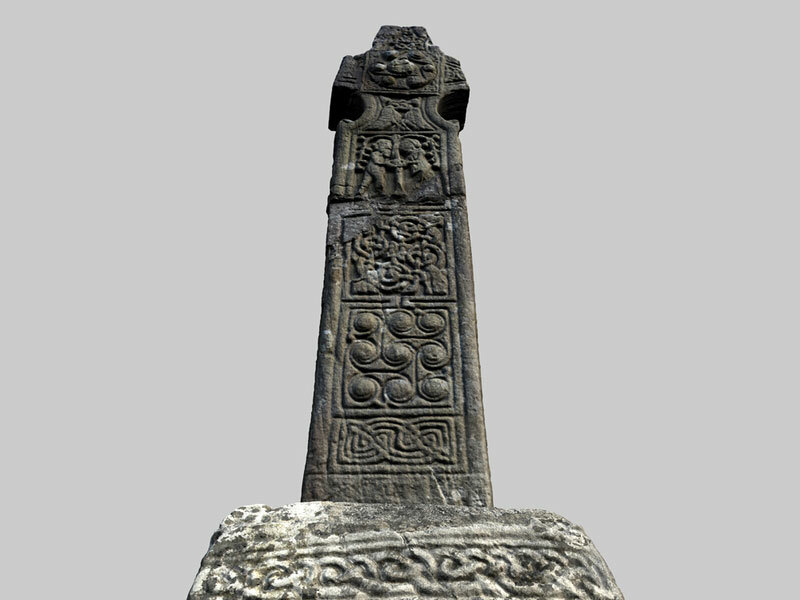 The result of point clouds and photographic documentations were high resolution, photo-realistically textured 3D models and animations, which are available for download on the website of Offaly County. 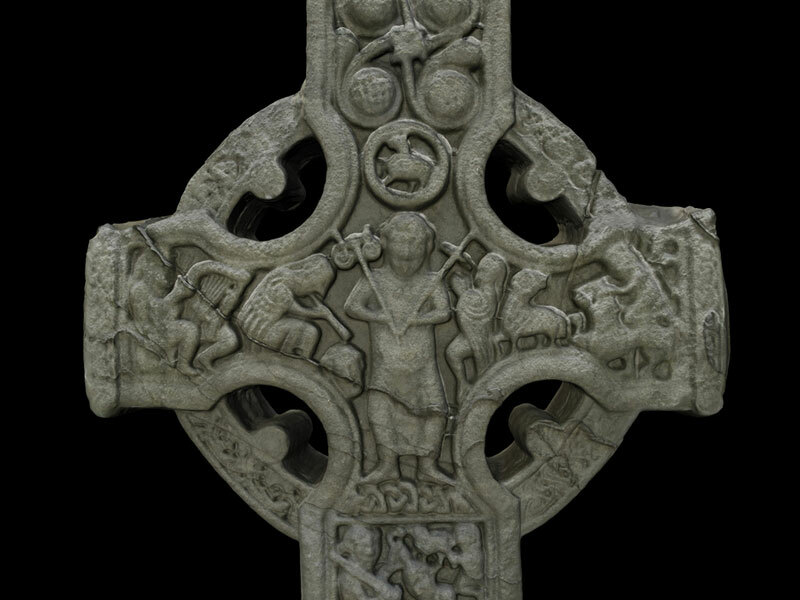 The impressive High Cross of Durrow was also prepared as a flash presentation, in which symbols and panels can be discovered interactively. 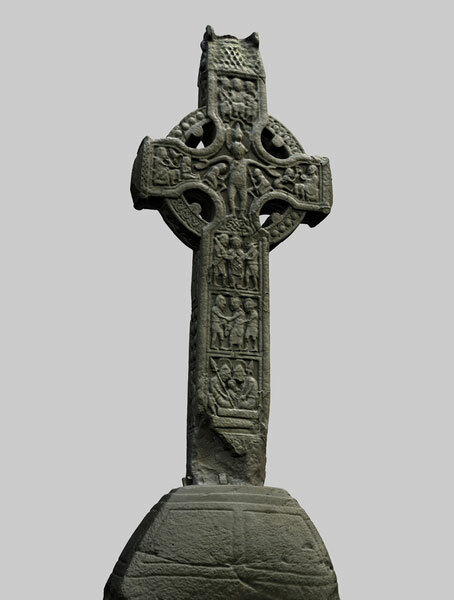 Click on the image to explore the Durrow High Cross in an interactive application (Flash, ca. 10 MB).